Desigo™ is the most flexible building management system of its time. With its flexible programming, scalability and modular design, it simplifies the control, monitoring and optimization of one or more disciplines in a building. The integrated management system maximizes safety and comfort, boosts efficiency and permanently saves costs while providing sustainable improvements to the company’s performance and image. Buildings not only offer space for working and living, they are also capital investments. Their value can be maintained only if they are operated cost effectively. Currently, buildings account for 40 percent of the energy consumed worldwide. 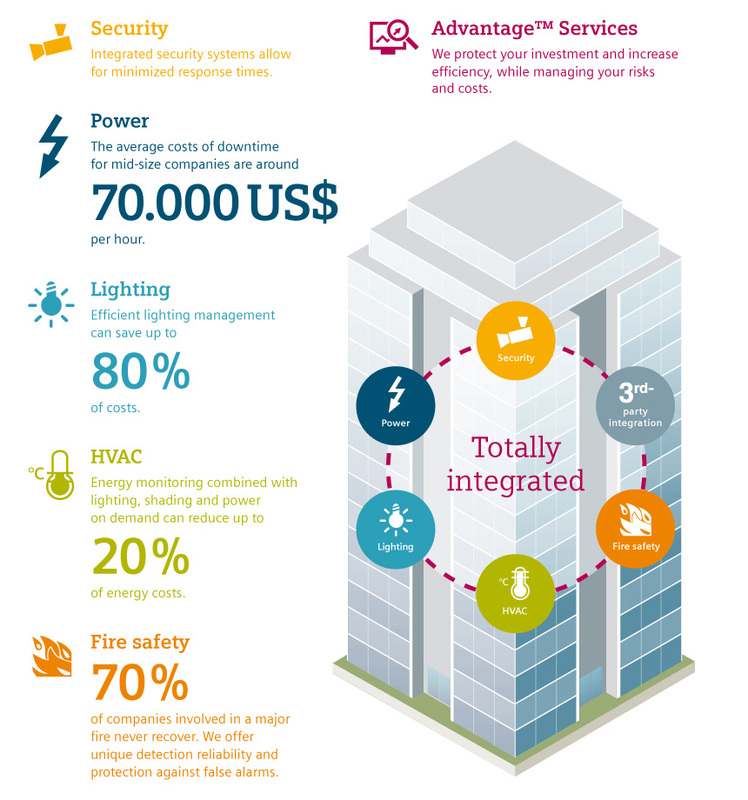 You can minimize this cost factor by using a state-of-the-art building automation system. The Desigo™ building automation system allows you to achieve significant energy savings by efficiently linking, controlling and monitoring a variety of different functions and building disciplines. This results in a healthy room climate and higher user satisfaction. In addition, efficient energy saving features lower ever-increasing operating costs. Investments in this future oriented technology pay off quickly. Another benefit are lower CO2 emissions, which gives your company a “green” image. A true added value for you and your building.